Cinque Terre is a popular Italian holiday destination and it is easy to see why. The name Cinque Terre means ‘Five Lands’ and it refers to five beautiful coastal villages in Liguria, Italy. 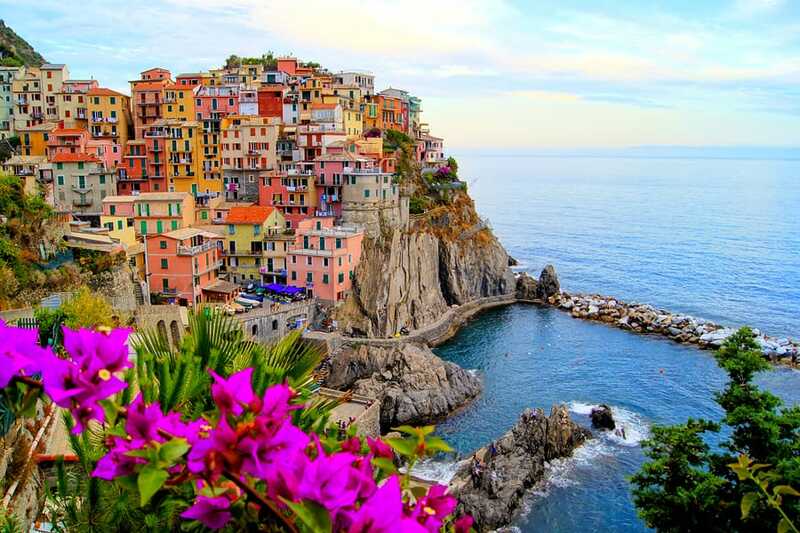 The villages are called Riomaggiore, Manarola, Corniglia, Vernazza and Monterosso. And together they are listed on the UNESCO world heritage list, are a national park and also a protected waterway. 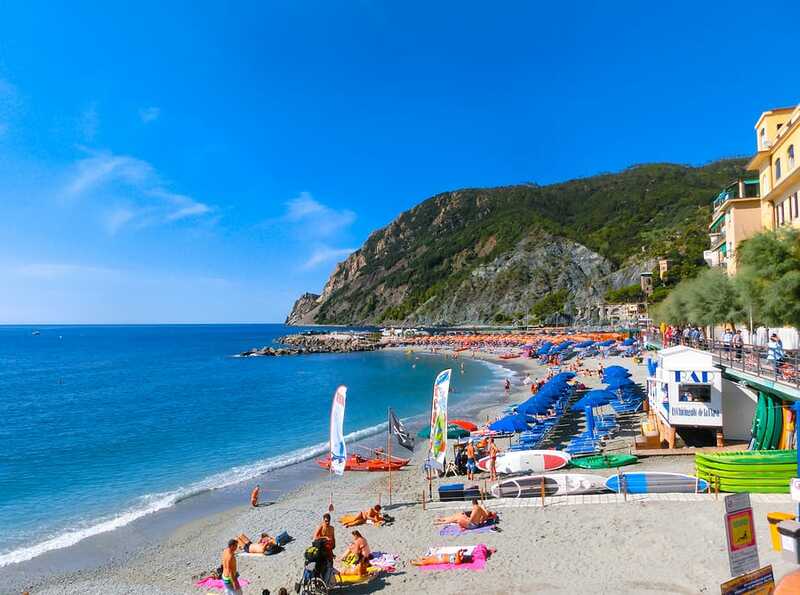 Monterosso’s beach – this is the only town with a strip of beautiful beach within easy reach. The beach is a beautifully long stretch of sand that is right at the edge of the village and is easy to get to. Vernazza’s piazza or central square sits right on the water and is quite stunning. Further up the hill, a ruined castle overlooks the village and you can also see the remains of a wall that protected the village from pirates. Riomaggiore and its steep rise away from the shoreline gives it some quite stunning views, particularly from the water. It has a lovely little harbour and a castle and church. Manarola’s rustic charm. It is true it’s more rustic than the other villages and so it has a unique atmosphere that some travellers really value. Corniglia is different from its neighbours because it sits on top of a cliff and not at the water’s edge. You need to climb 365 steps to reach the village from the water. It can be a little quieter particularly in the evenings. This village arguably gives the best views of the region. Top of our ‘what to see and do in Cinque Terre’ is hiking. There are numerous trails around the region and by walking along them you’ll really be able to enjoy and experience your surroundings. Many are suitable for beginners, and some are a little more difficult than that. Regardless of which level you choose, you’ll be able to fully experience the area if you do some exploration on foot. It is here you’ll see the beauty of the coastline and get a feeling for how remote this area must have been in ancient times. It is worth remembering that the area is prone to landslides so if you plan to do a specific trail, check before you depart. Also, some of the trails require passes that you need to purchase to get access. Avventure Bellissime offer guided tours of the region (small group, private or cruise ship excursions) and by booking with us all access requirements are arranged for you in advance. Visiting the local restaurants should definitely be on your ‘things to see and do in Cinque Terre’ list. The food here is simple but beautiful. There is a lot of seafood on offer and it tastes sublime. Pesto also hails from this region and tastes magnificent here in its place of origin. All dishes seem to be really enhanced by the other natural products that are produced in the area – whether it is olive oil or the local herbs like basil and oregano. Taking a boat tour here to view the Cinque Terre coastline is top of our things to do in Cinque Terre list. Here you will be able to appreciate a different perspective of the coastline. The region has a deep maritime history so it seems appropriate to view the rugged coastline from the water. The white wine produced in the region is a fabulous accompaniment to the seafood. As you will see when you visit, the inhabitants have been an excellent use of limited space in order to cultivate vines. But make sure you also taste the unique schiacchetra – a sweet and strong wine that’s made fruit that are dried so they only hold a few drops of sweet juice each. The good news is that it aids digestion! The Cinque Terre beaches are stunning. Make sure you swim in the sea in at least one of the villages. The beaches around here usually compete for positions in the list of top beaches in the country. The beach at Monterosso is a good choice or event the small beach at Vernazza. So hopefully this Cinque Terre itinerary has satisfied the question of ‘what to do in Cinque Terre?. As its national park and UNESCO status attests, it is a unique area of Italy’s beautiful coast. At Avventure Bellissime – as Italian holidays experts – we have the privilege of touring the Cinque Terre area regularly. And it is from this experience that we’ve been able to write this post. If you are thinking of spending your holidays in Italy, please do visit our website at tours-italy.com We’re definitely best placed to help you make the most of your Italian holidays. We offer a selection of Italian vacation packages as well as tours of Italy’s best-loved attractions – including Cinque Terre. Also, if you are looking for some travel inspiration, be sure to check out our travel blog at Avventure Bellissime. It’s a great read about all things, Italian – including advice on visiting destinations like the Vatican and Venice.